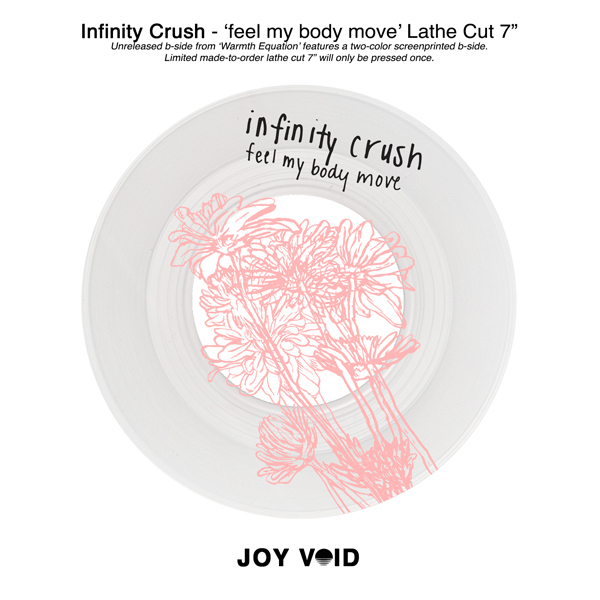 - The "feel my body move" limited lathe features a non-album track and a 2 color screenprinted design. If you are unfamiliar with lathe cuts, they are handmade records cut into plexiglass in real time (hence the higher price). As the sound quality can be slightly unpredictable, they are not a perfect substitute for a vinyl record, and instead serve as an extremely limited and unique handmade piece. 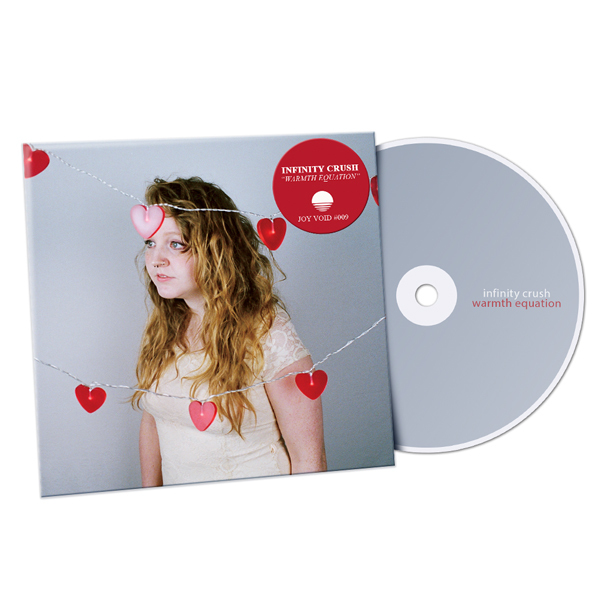 Although Infinity Crush’s Derrick Brandon and Caroline White only met about two years ago, they hit it off almost immediately. 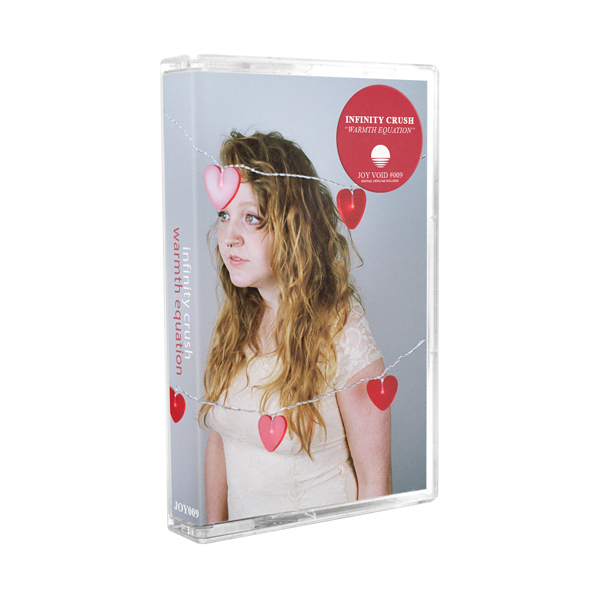 They became best friends quickly, and it wasn’t long before White began to integrate Brandon into her music. 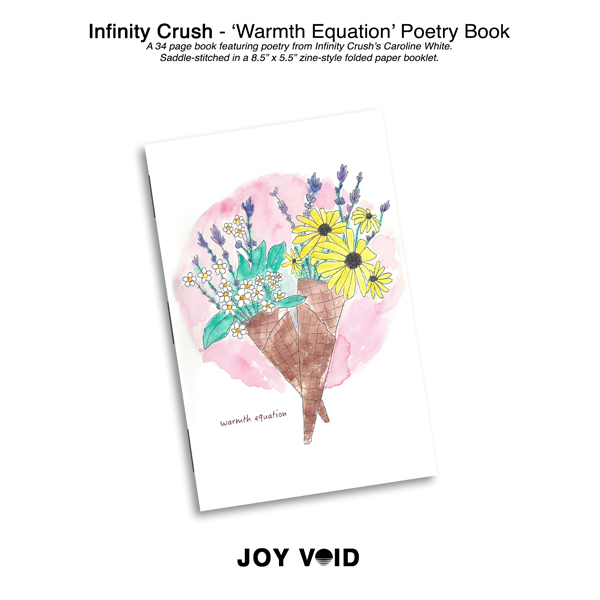 White wrote the majority of Warmth Equation – the first Infinity Crush release for Joy Void Recordings – solo before bringing in Brandon for guitar and keys to compliment White’s melodies, as well as Sam Ray (Teen Suicide, Ricky Eat Acid, Julia Brown) to contribute vocals and keyboards. 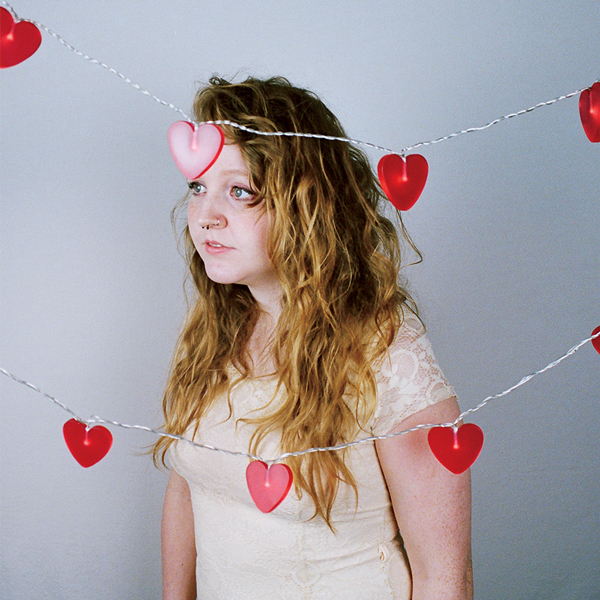 In addition to taking immense influence from friends like Ray and Elvis Depressedly, White also credits Angel Olsen as an inspiration in the arrangement of her songs, and Alex G as a major player in making her think differently about crafting a melody. 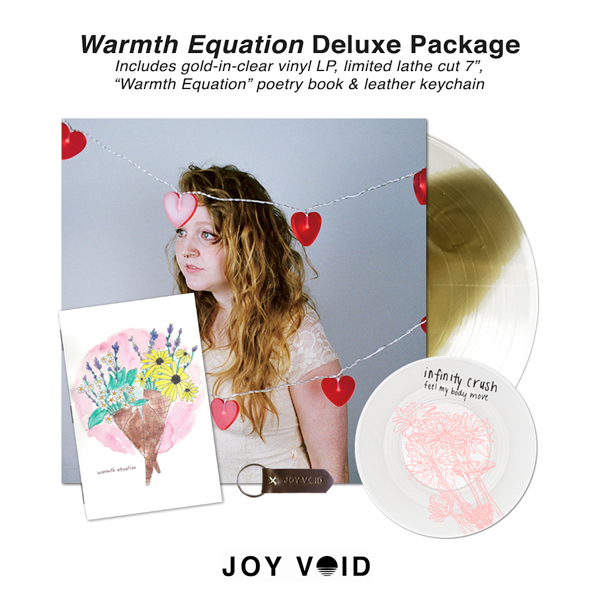 Warmth Equation is a collection of twelve short songs that work toward interpreting loss and grief through different lenses. It tries to take a realistic, all-encompassing perspective of grief, a view that includes the expected feelings of overwhelming devastation, but also moments of happiness or love or sexuality.